We were contracted to supply all of the prestressed bridge beams to the Bognor Northern Relief Road Viaduct in West Sussex for Hochtief. 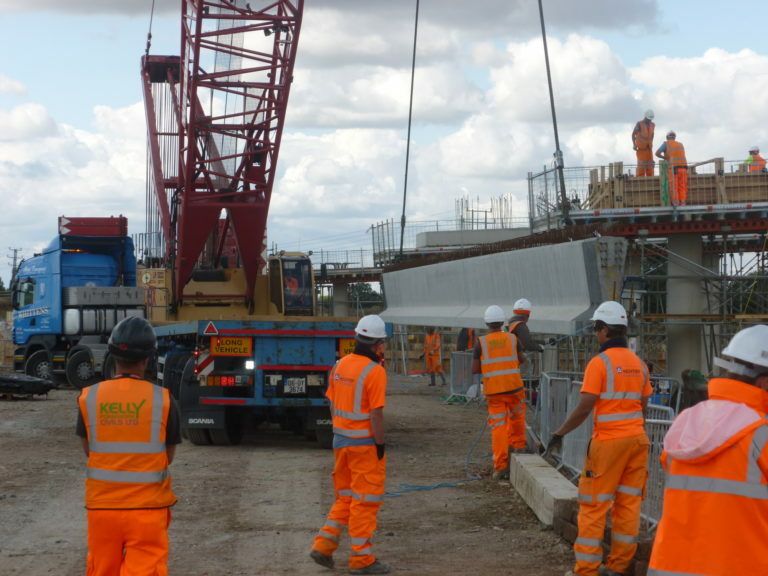 The Bognor Northern Relief Road is part of the wider scheme to develop 1,350 new homes in Felpham and Bersted, north of Bognor Regis. 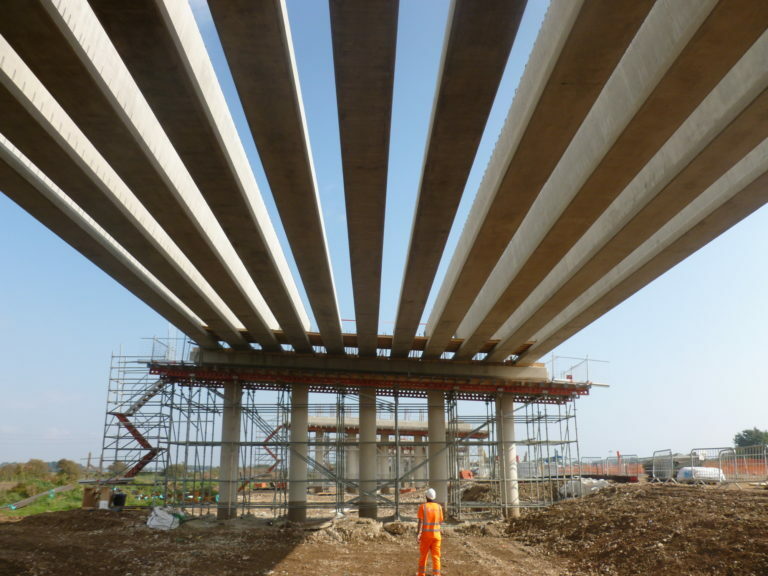 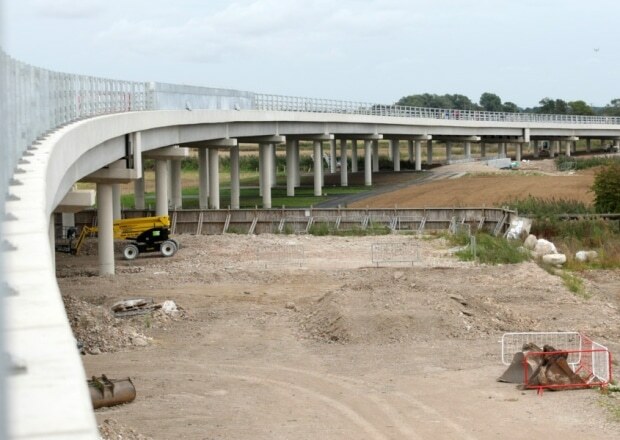 The Felpham section of the Relief Road, is 2.3km in length, and features this spectacular 500m long viaduct that rises 8m above the Lidsey Rife, the Barnham to Bognor Regis rail line and the Bognor Regis flood plain. 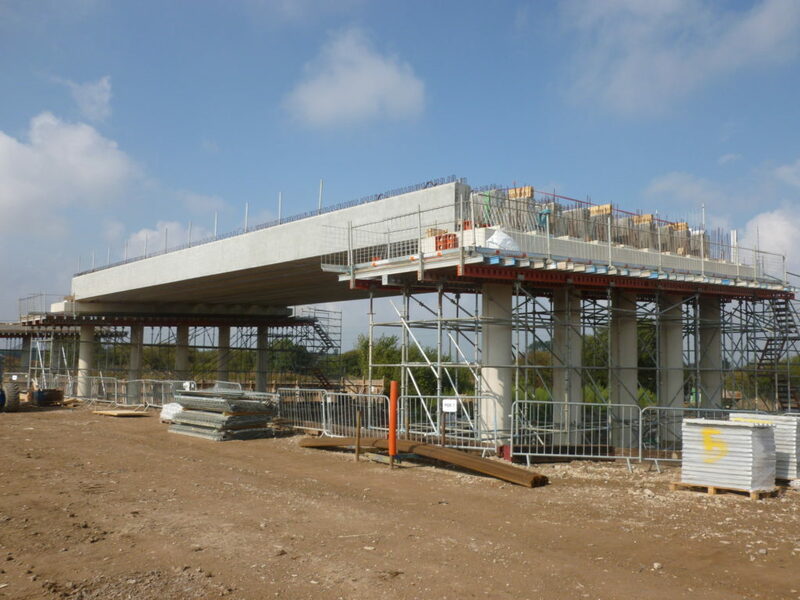 The viaduct consisted of 176 Prestressed Concrete Bridge Beams. Each of the sixteen spans was made up of nine Y7 Beams and two YE7 Beams. 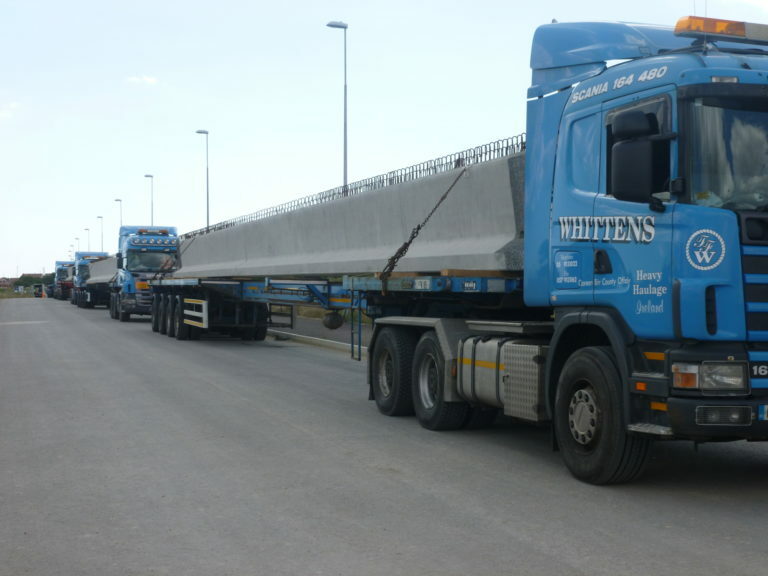 The Bridge Beams averaged 30m in length and weighed between 40 and 60 tonnes each. 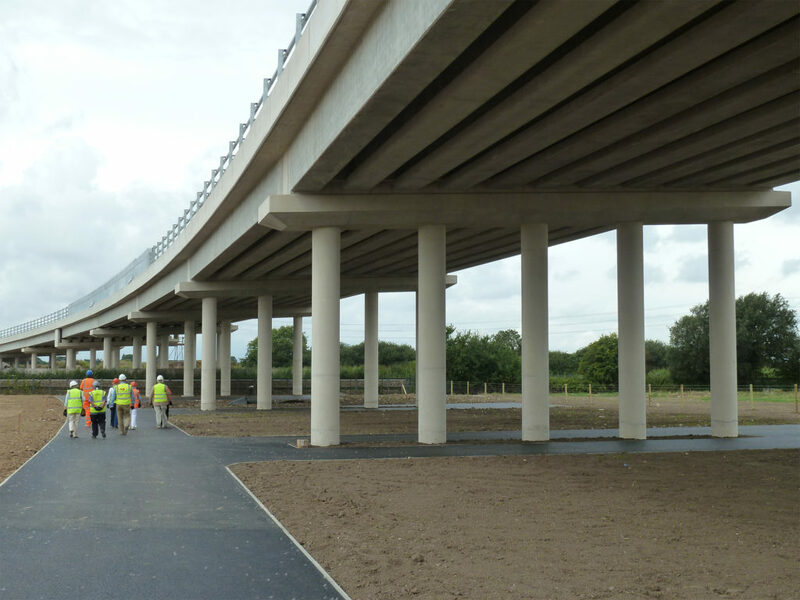 We also manufactured and supplied our FRC Decking System which was placed between the Prestressed Concrete Bridge Beams to support the insitu deck. 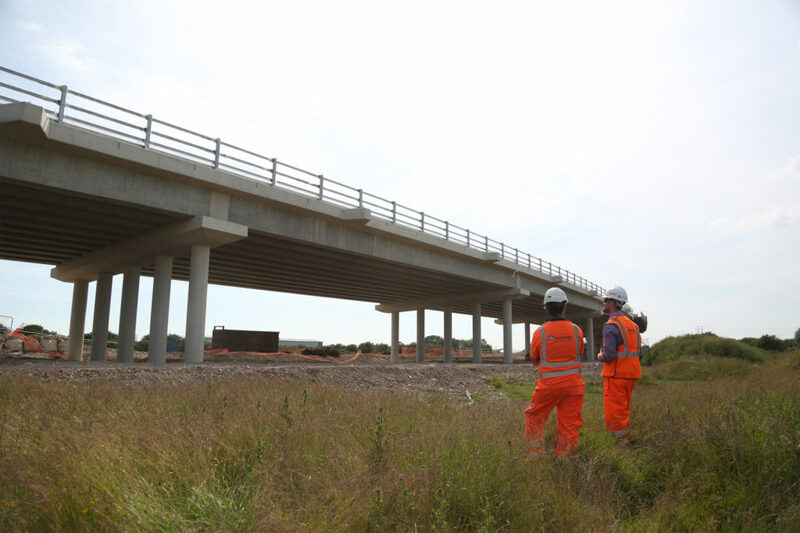 The relief road gives access to the new homes at Blake’s Mead and has eased traffic congestion in the area.